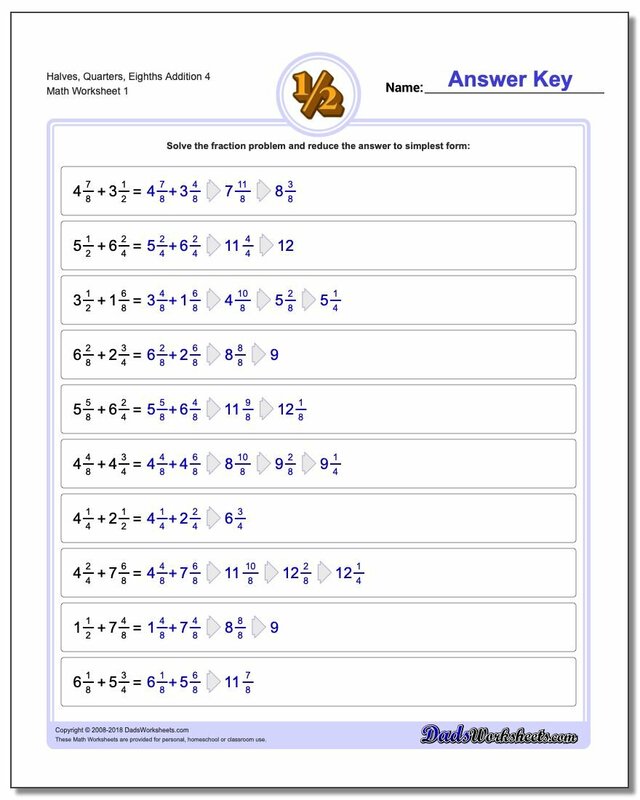 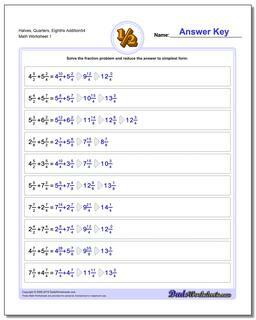 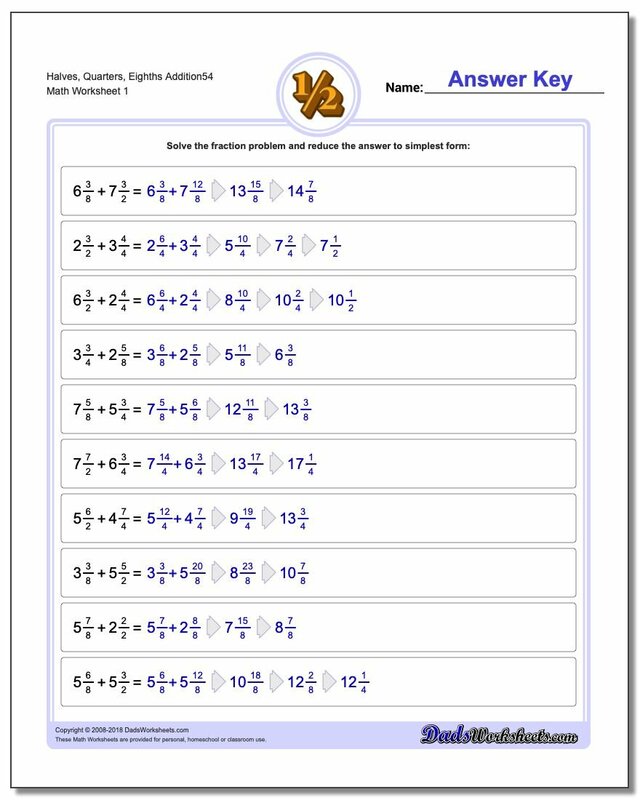 These fraction worksheets provide practice adding common fractions with halves, quarters and eighths. You can learn the procedures for adding fractions, but there is no substitute for memorizing the results of adding and subtraction fractions that appear commonly in real world scenarios. 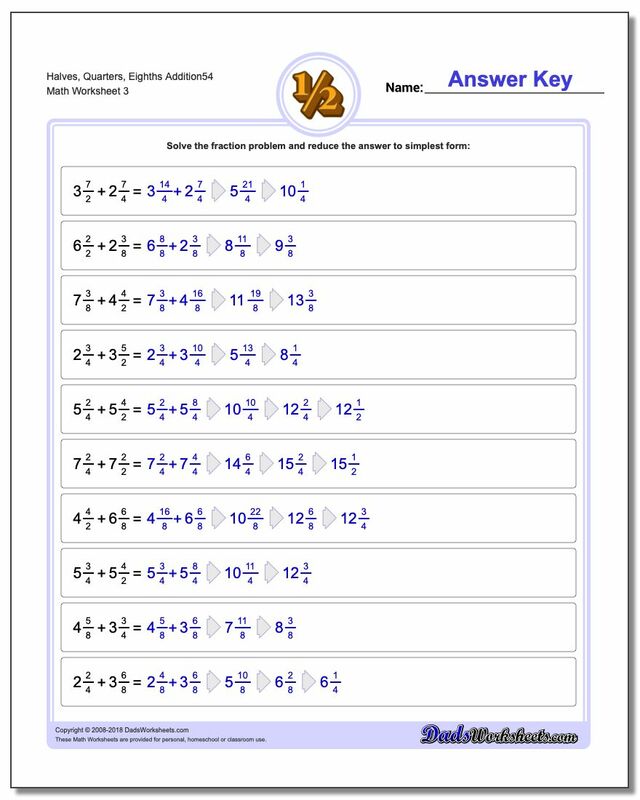 These worksheets present very common fraction problems that make excellent math practice for these situations.